As part of the Festival’s continued commitment to reducing audience transport CO2 emissions, we encourage people to cycle to the Festival. 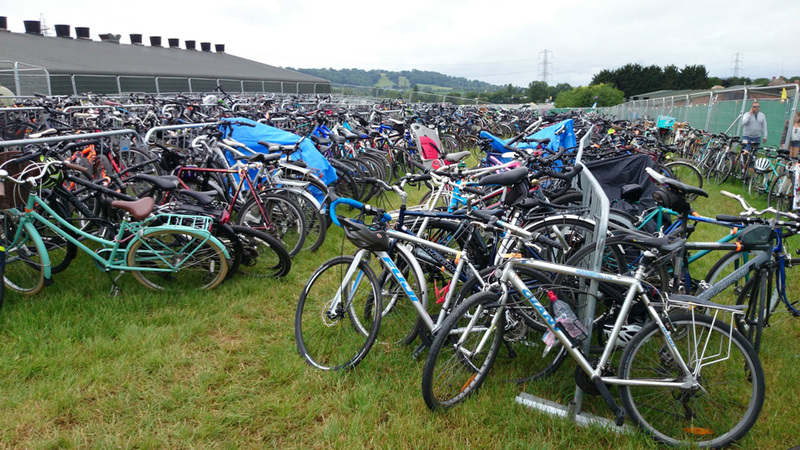 The Festival site is just a few miles south of Route 3 of the National Cycle Network, which runs between Glastonbury and Wells. For route planning advice, check out Cycle Streets’ Glastonbury Route Planner. If you’re coming on your bicycle, please follow signs for Yellow Gate, and then you’ll be directed towards the cycle lock-up which is adjacent to Pedestrian Gate A (PGA).